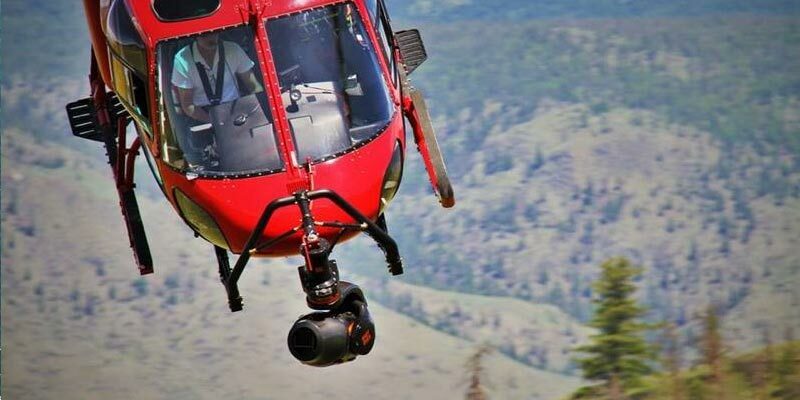 SHOTOVER is the developer of the World’s First Ultra HD Aerial Camera System for Motion Picture and Television Production. The deal reunites team behind development and worldwide success of the Cineflex gyro-stabilized camera system; additional investors include hollywood’s top aerial cinematographers David B. Nowell, ASC and Hans Bjerno. LOS ANGELES (December 12, 2012) Helinet Aviation Services, a diversified flight services company, announced today the acquisition of SHOTOVER Camera Systems, developer of the world’s first camera system for shooting aerial footage in Ultra High- Definition, the next generation digital video standard announced earlier this year. Lightweight and compact enough to be transported as excess baggage by a single person, the Shotover system provides both 2D and 3D imaging capabilities and features a groundbreaking modular design that enables operators to utilize multiple camera and lens combinations depending on their needs. SHOTOVER company founder John Coyle, who led development of the new technology, will remain with the firm as general manager following the acquisition. Coyle was previously the founder of Cineflex, LLC where he created the first ever high-definition aerial camera system, the Cineflex V14. In 2004, Helinet acquired Cineflex and rapidly established the V14 as the industry standard for electronic news gathering, television broadcast and production and aerial surveillance. Key use cases include providing aerial coverage in the aftermath of Hurricane Katrina, shooting the aerial sequences for the groundbreaking BBC/Discovery Channel series “Planet Earth” and deployment by the LAPD for airborne operations. Helinet sold Cineflex to Axsys Technologies (now a part of General Dynamics) in 2007. Bond. Nowell (The Avengers, Pirates of the Caribbean, Transformers, Top Gun) and Bjerno (The Bourne Legacy, The Dark Knight, Battle Los Angeles, The Italian Job) are widely regarded as Hollywood’s most accomplished aerial DPs with credits on a combined total of more than 300 films over the past three decades. Connolly is a partner at private equity firm Leonard Green & Partners, L.P. Additional investors include top aerial cinematographers Dylan Goss and Steve Koster, Larry Blanford, Peter Graf, Peggy North and Luc Poullain.